Alpha Corporation, along with its subconsultant Hatch Mott MacDonald, was selected by Montgomery County to provide Value Engineering, Independent Reviews of Design-Build Documents, and Risk Management Services for the MD 355 Underpass project. This project consists of a proposed shallow underpass below MD 355, new deep high-speed elevators and emergency stairs and a new deep tunnel connection between the new deep high speed elevator and the existing metrorail tunnel. 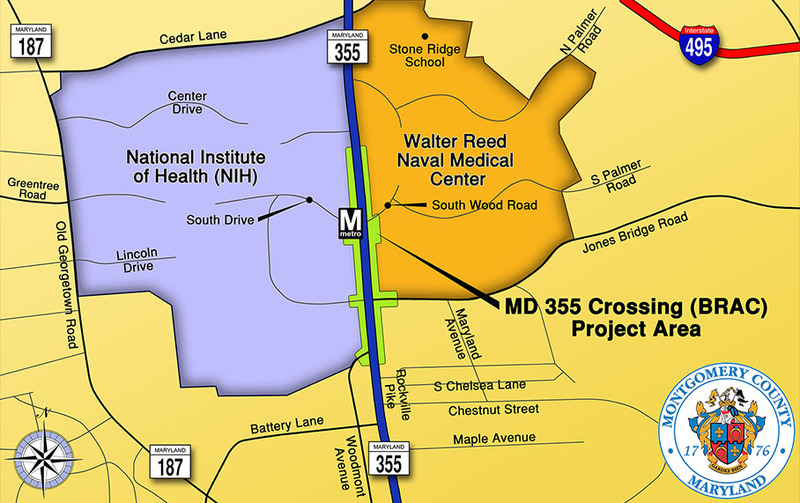 The purpose of this project is to improve the movement of the traveling public between west and east sides of MD 355 near the Walter Reed National Military Medical Center.